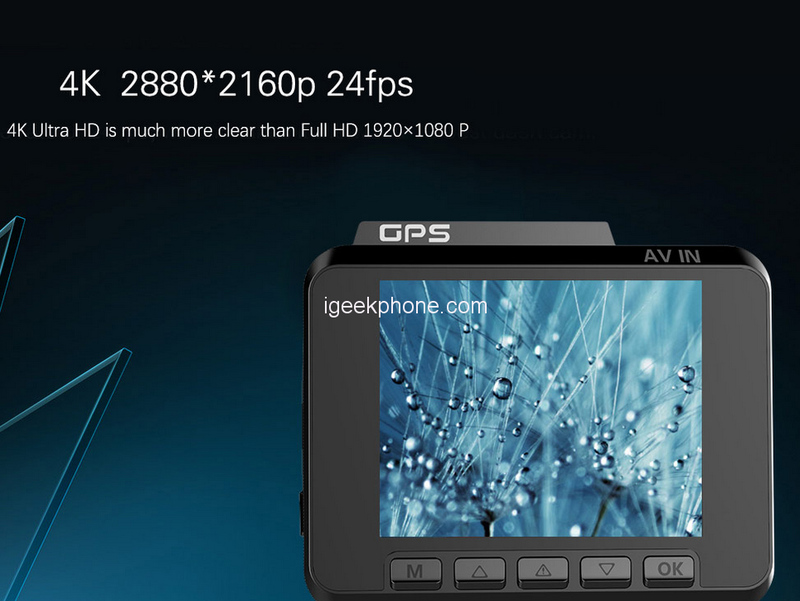 The AZDOME M06 Car Dash Cam is quite different from other 1080p dash cams, this car DVR provides a video resolution high up to 2880X2160p at 24fps and 1920X1080p at 30fps in video resolution. 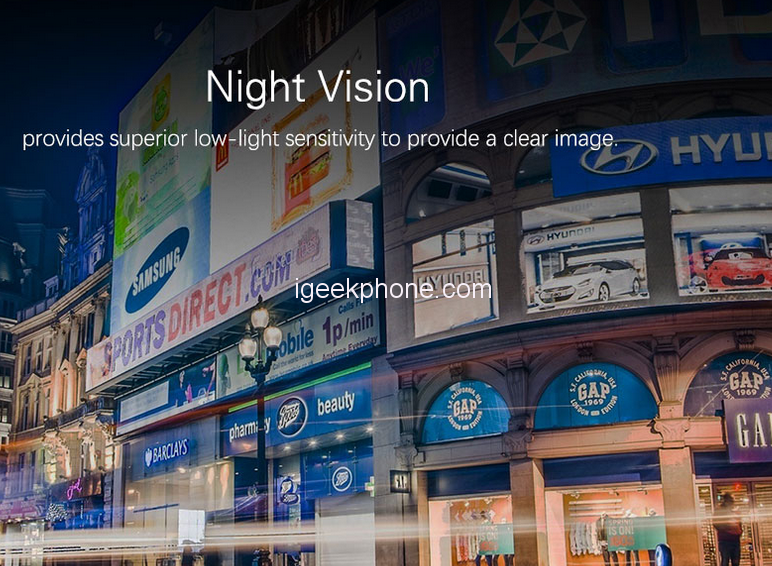 Cooperate with a 170 degree wide angel and F1.8 large aperture, ensure less blind spots, achieve the best image quality, nighttime performance and CRYSTAL-CLEAR RECORDINGS. Enjoy your journey with much more safety. 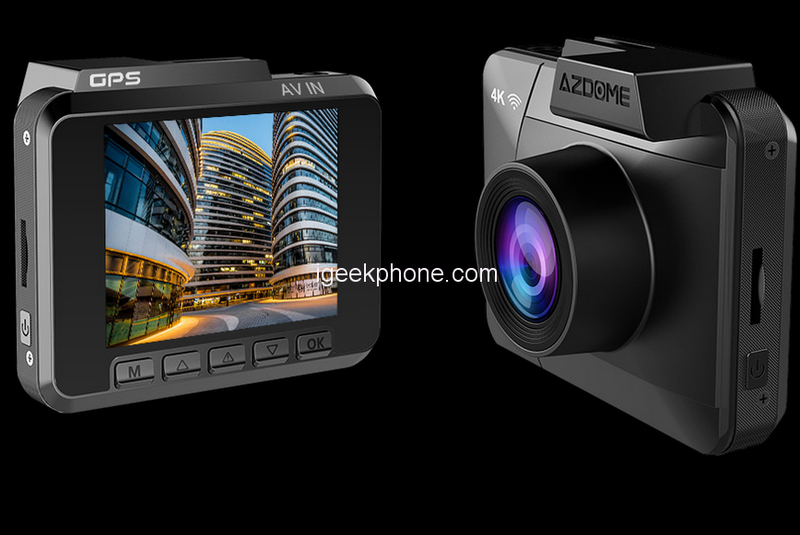 The AZDOME Car Dash Cam comes in a very portable design in an all black color. It is light in weight and with “LuckyCam” APP(IOS und Android) one can remotely control the dash cam, change settings, real-time viewing, photo taking, video recording, playback, download the record files to your phone to edit it and to share it on social media platforms. 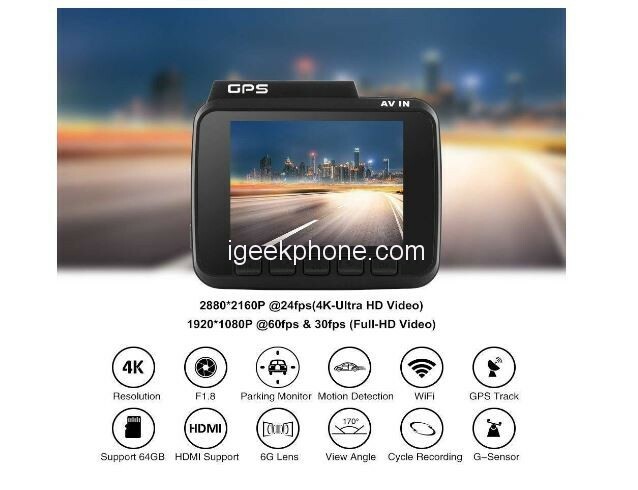 ▲It comes with GPS Geo-Tagging device records precise GPS data into video file so you can accurately check Time / Speed / Longitude / Latitude on Google Map by “Car DV Player” PC software. It features 3 powerful function which includes Loop Recording, users will have the option to record videos in loops of 3 / 5 / 10-minute video files. G-Sensor can automatically record images and video in order to provide evidence of the car collision. Motion Detection, when the vehicle recorder detects the movement of the object, the camera starts recording. The dash cam can provide all-around protection for your car. With a wire protection hardwire line, the drive recorder can be powered for 24 hours through hardwire (12V-5V) connected with a car battery. This provides insurance evidence for financial loss and vehicle scratches. The AZDOME M06 Car Dash Cam can be purchased for a very little amount, click HERE to check it out.